Photoshop Elements 8 offers you many different editing tools for improving image quality, designing a variety of photo creations, and sharing your photos in a number of ways. Of course, the popular photo-editing program also gives you all the standard editing features you need for, say, controlling image brightness or working with color correction. This Cheat Sheet is a handy reference to become familiar with Elements tools and keyboard shortcuts. 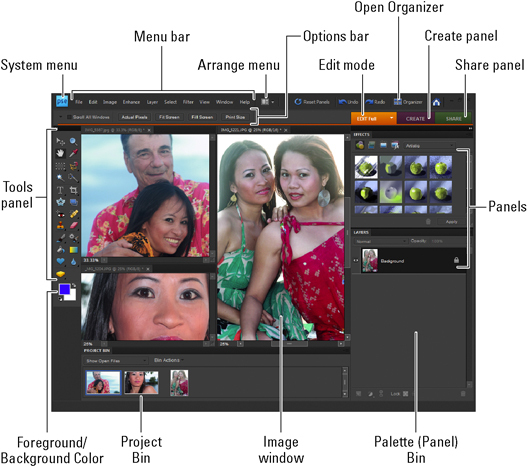 Accessing tools from the Photoshop Elements 8 Tools panel is a task you’ll repeat many times. Elements makes it easy to grab a tool through the use of keyboard shortcuts. 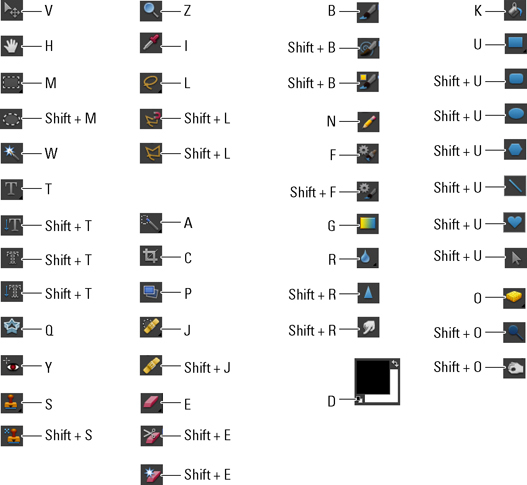 The following illustrations break down all the keystrokes you can use to access the tools.